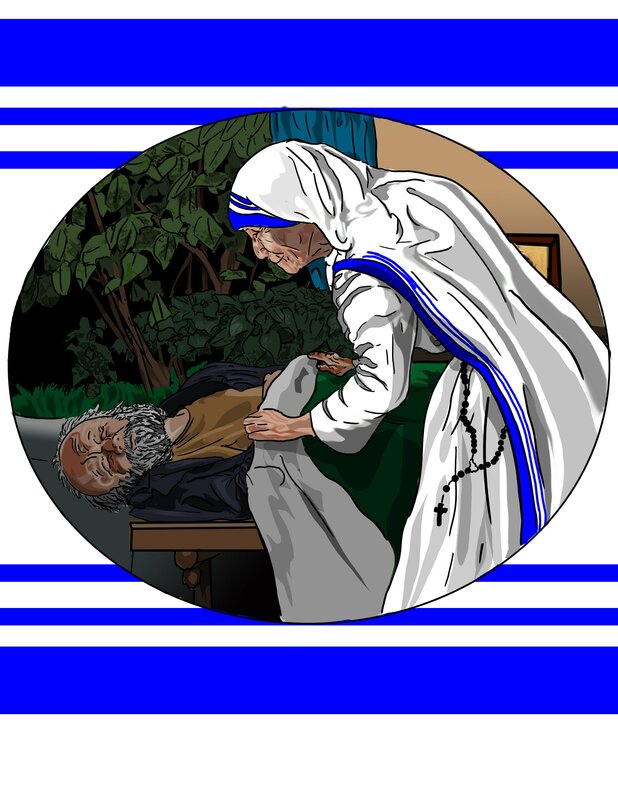 St. Teresa of Calcutta taught the world to embrace Jesus in the poor after having of vision of Him pleading from the cross "I thirst". Her tireless work to care for the abandoned dying and the poor in India brought her international recognition and she won the Nobel Peace Prize in 1979, where upon accepting it she dropped a bombshell on the audience advocating for the unborn and an end to abortion. St. Teresa of Calcutta, Pray for Us!